Product prices and availability are accurate as of 2019-04-17 19:08:01 UTC and are subject to change. Any price and availability information displayed on http://www.amazon.co.uk/ at the time of purchase will apply to the purchase of this product. We are delighted to present the famous Bells 2002 Christmas Decanter 700ml. With so many available right now, it is good to have a name you can recognise. The Bells 2002 Christmas Decanter 700ml is certainly that and will be a superb buy. For this great price, the Bells 2002 Christmas Decanter 700ml is widely respected and is a regular choice with most people. Arthur Bell & Sons have added some great touches and this means good value for money. 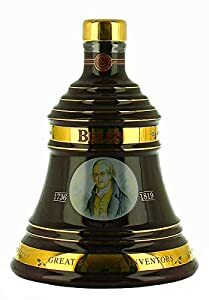 Bells Whisky in a ceramic decanter, released to celebrate Christmas 2002. Back in the 1850's we discovered that blending together several fine whiskies pleases more palates than one whisky unmixed. 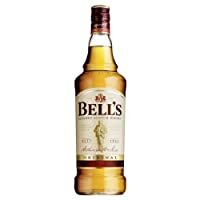 And to this day, each drop of Bell's is made from a select blend of fine malt and grain whiskies, skilfully married together by our master blender. 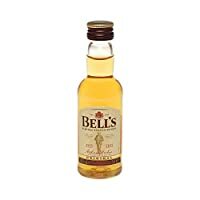 The unique flavour of Bell's comes from some of the finest malt whiskies in Scotland - from the fresh, sweet malts of Speyside to the smoky sea salt of the Islands - all matured in selected oak casks for a richer flavour. The malt at the heart of the Bell's blend is rich, spiced and nutty (a bit like ginger cake) and comes from our home, the Blair Athol Distillery.